Whether you’re redecorating your home for staging, or you simply feel like changing the look of a room, you don’t have to spend a lot of money to do it. You can easily change the look of your place on a DIY budget. 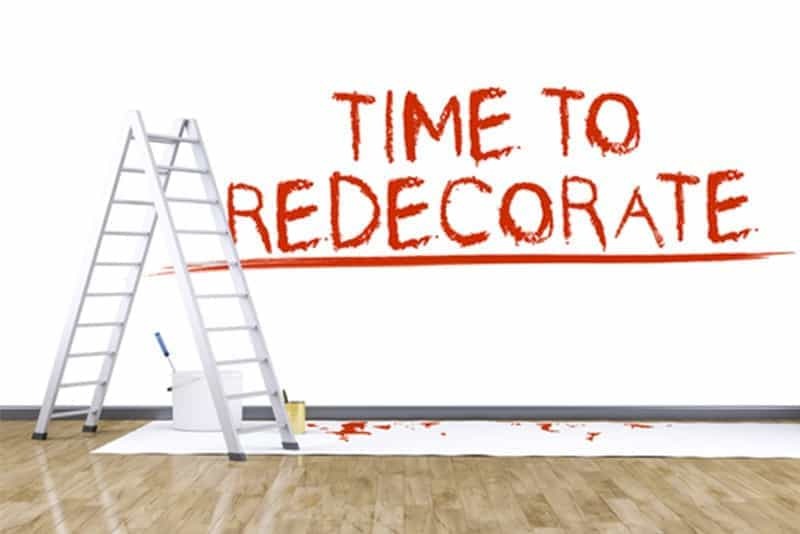 Do-it-yourself redecorating is inexpensive, unique, and fun to do, as well! Just be creative! Find a color palette and theme you like, and just roll with it. Here are some small tweaks that can make a big impact. If you want to bring something neutral or monotone to life, add a little print to it. Add printed throw pillows or a comfy blanket to a plain old couch, or add some prints with a fun, funky rug. You can add pattern and print to almost any base… all you need is the inspiration. So get out there and look! What colors and patterns move you? If all walls of a room are empty, give the room a little life by turning one into an art wall. Buy frames of various sizes, but make sure they follow the same theme. For example, choose a color scheme (neutrals, all black, or metallics) and style (like antique, grunge, or feminine), and stick to it. Artistically arrange the frames and add pictures of your loved ones or favorite art. Tip: You can opt for all black and white pictures or pictures with the same color tones for a uniformed effect. Or, if you are going for randomly colored pictures, minimize the image size and leave a broad white margin around every picture. That way, your design will look consistent, even if the colors are not. A little splash of paint is another inexpensive yet effective way to make big changes on a DIY budget. Create an accent wall or paint an entire room. Get creative and add a border with paper or stencil. You can find some free templates online. Use buttons of any color (or colors) and sew them in an even pattern or symmetrical design on a plain thick cloth. Attach cloth to large frame. If you or anyone you know can draw, draw a unique design with paint on canvas and frame it. To give an extra touch, fill in the empty inside of the design with glue and add glitter. If you have any old accessories that deserve a refresh, glue and glitter can make them look new and chic. From fake branches to tea coasters and vases, anything can look great with a little glitter! Buy some metallic paint to accentuate furniture in a modern way. Paint the side of this, the trim of that – get creative! The possibilities are endless. Ameritex Houston Movers can you help you safely transport all of your newly redecorated home decor. Call us today!